The BBC’s modernized television adaptation Sherlock and the steampunk-inspired Hollywood blockbuster Sherlock Holmes: A Game of Shadows are only two of the most recent incarnations of Sir Arthur Conan Doyle’s famous detective. 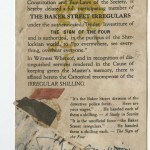 The Ransom Center holds an eclectic array both of Sherlockiana and of materials illustrating Doyle’s diverse pursuits. 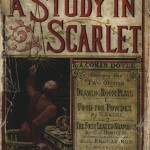 Doyle introduced Sherlock Holmes in the novel A Study in Scarlet, which received several rejections before being published in the 1887 Beeton’s Christmas Annual (alongside the forgotten tales “Food for Powder” and “The Four-Leaved Shamrock,” as well as some truly terrifying Victorian advertisements—“Steiner’s Vermin Paste, It Never Fails!”). The Center holds one of the 11 complete copies known to exist, as part of the Ellery Queen book collection. 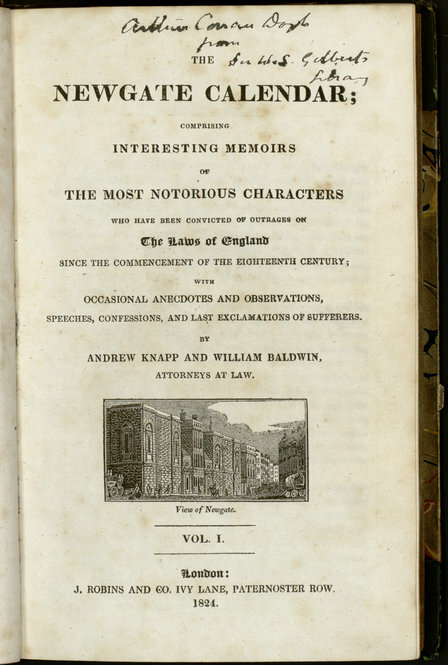 The Queen collection also includes books from Doyle’s true crime library, many of which previously belonged to W. S. Gilbert (of Gilbert and Sullivan fame). 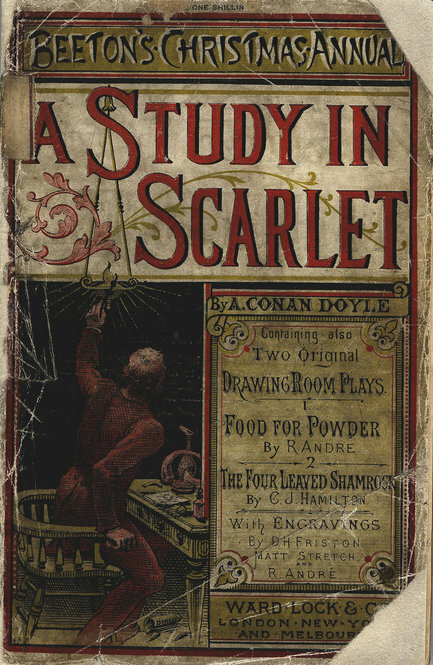 The character of Irene Adler plays a significant role in both the mentioned recent adaptations, but she appears in only one Doyle short story, “A Scandal in Bohemia.” The Center’s Sir Arthur Conan Doyle papers include the handwritten manuscript for this story, as well as a manuscript page from the most famous Holmes novel, The Hound of the Baskervilles. 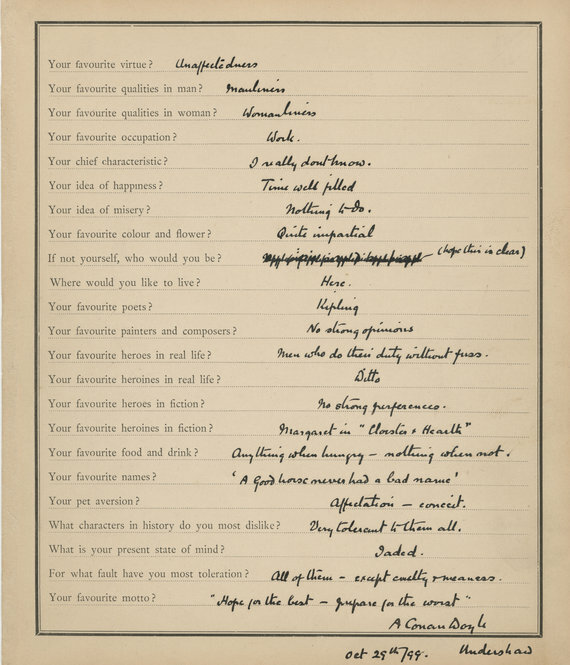 The Doyle papers also contain some interesting oddities, such as Doyle’s laconic answers to an autobiographical questionnaire (His favorite food? 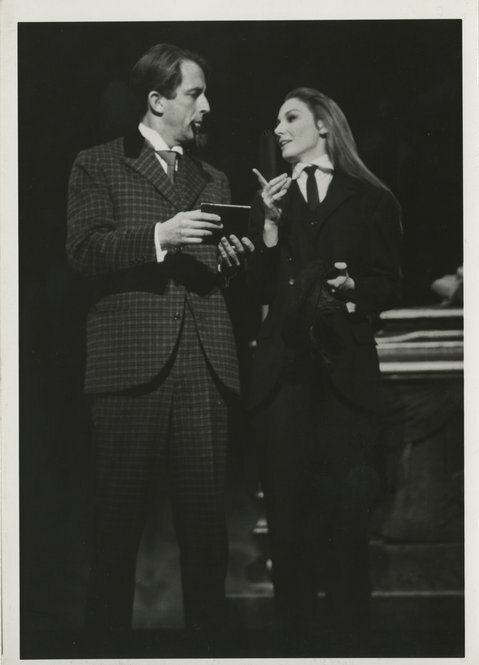 “Anything when hungry—nothing when not”) and a fan letter Doyle wrote to Bram Stoker in praise of Dracula. 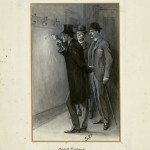 The popular image of Sherlock Holmes owes much to Sidney Paget, who illustrated the original publication of many of the stories in The Strand Magazine. 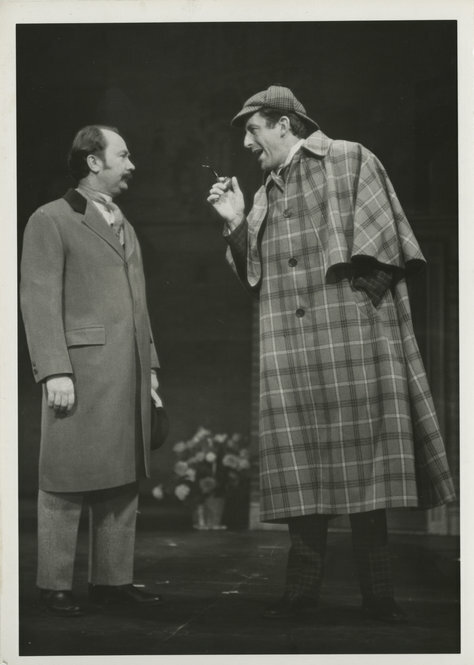 It was he who put Holmes in the iconic deerstalker, never specifically mentioned by Doyle (Sherlockians will tell you that the “ear-flapped travelling cap” described in “Silver Blaze” is the closest reference). 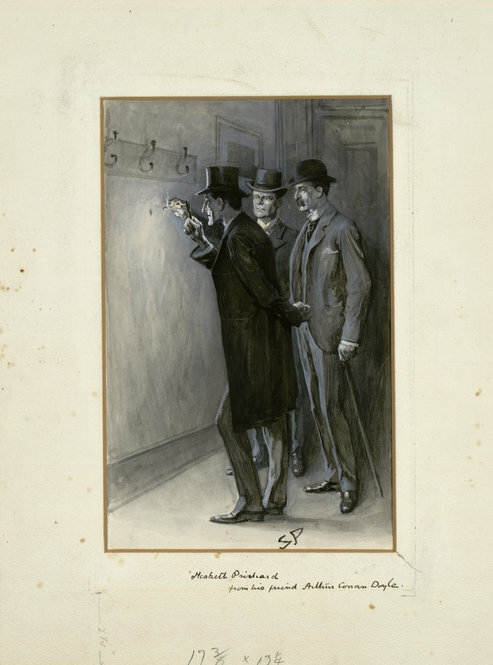 The Center’s Sir Arthur Conan Doyle art collection includes two original Paget drawings featuring Holmes and Dr. Watson—but no deerstalker. 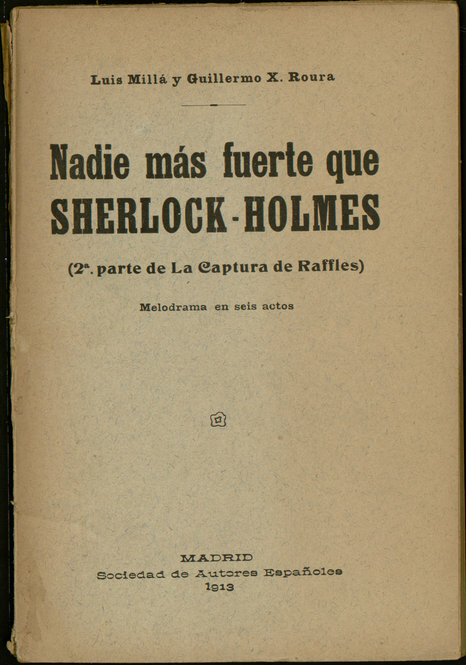 The Center’s collections also document fans’ longstanding obsession with Sherlock Holmes. 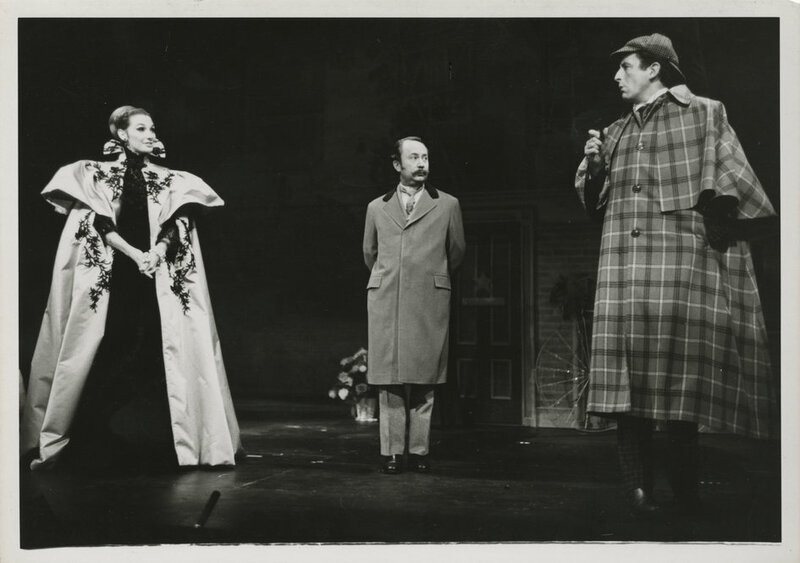 Christopher Morley, whose papers the Center holds, founded the first American Holmes fan society, the Baker Street Irregulars, in 1934. 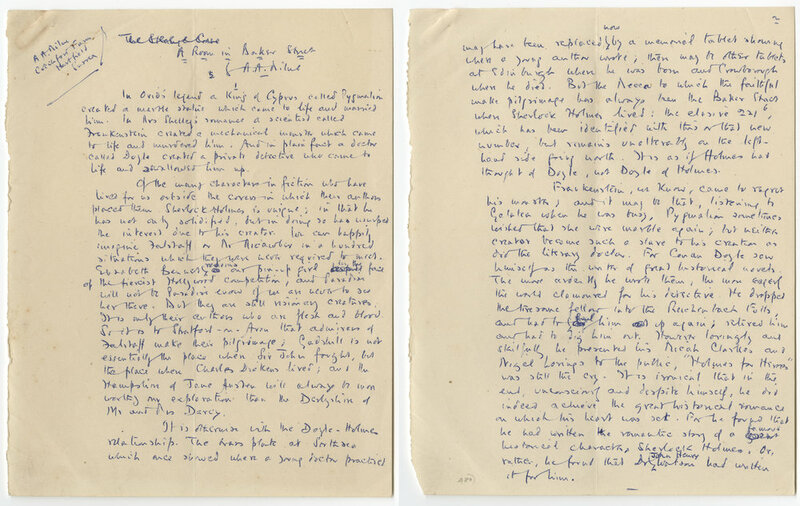 Elsewhere in the collections, one may find a manuscript of Dorothy L. Sayers’s learned disquisition on the conflicting dates given in “The Red-Headed League,” a handwritten essay celebrating the centenary of Holmes’s purported birth by A. A. Milne, and T. S. Eliot’s perceptive review of the collected stories in a 1928 issue of the Criterion. 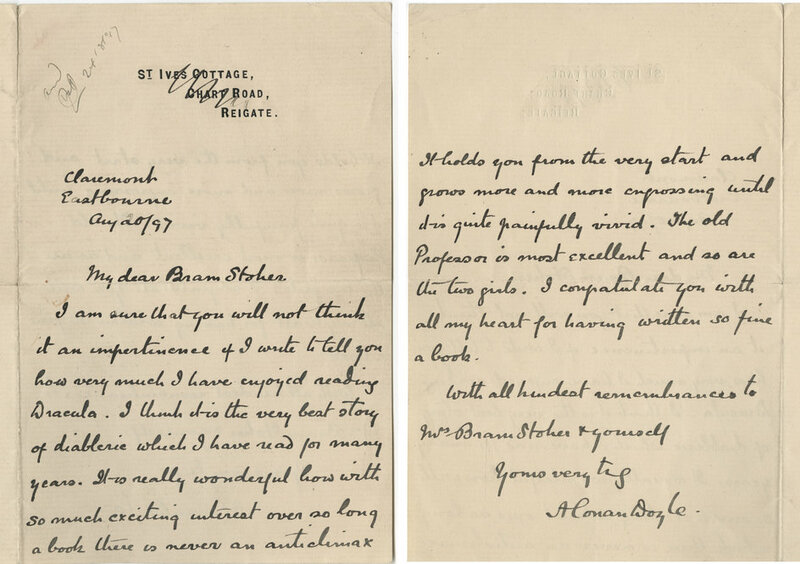 In this letter to Bram Stoker, Doyle expresses his admiration for the recently published “Dracula.” Arthur Conan Doyle papers. 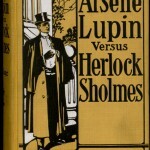 “A Scandal in Bohemia,” Holmes’s first appearance in short story form, also represents one of the rare instances in which the detective is outwitted. 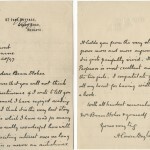 Arthur Conan Doyle papers. Sherlock Holmes’s inauspicious first appearance was in the 1887 Beeton’s Christmas Annual. 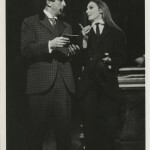 The 27-year-old Doyle wrote the novel in three weeks and received only £25 for the full rights. Ellery Queen Book Collection. 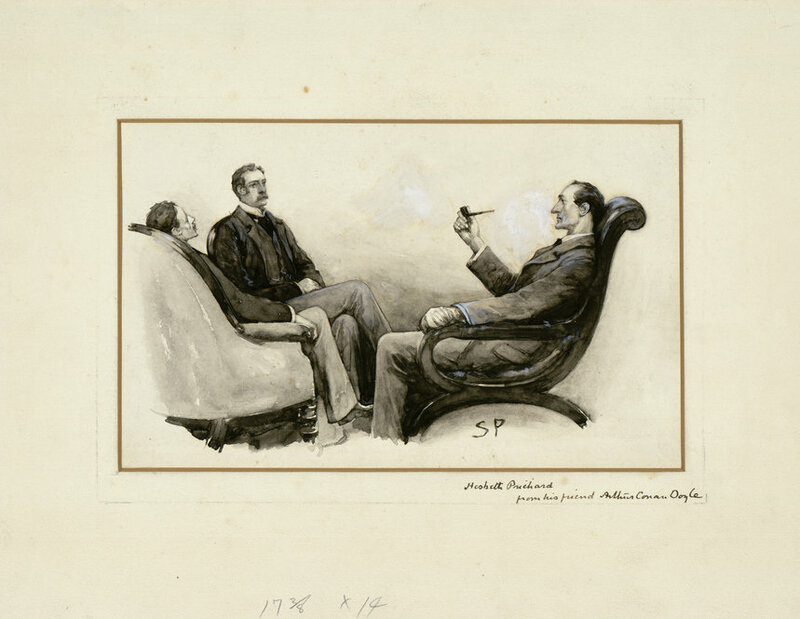 This illustration for “The Adventure of the Norwood Builder” is one of 356 drawings Sidney Paget created for the original publication of the Sherlock Holmes tales in The Strand Magazine. 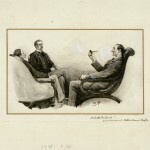 Arthur Conan Doyle art collection. 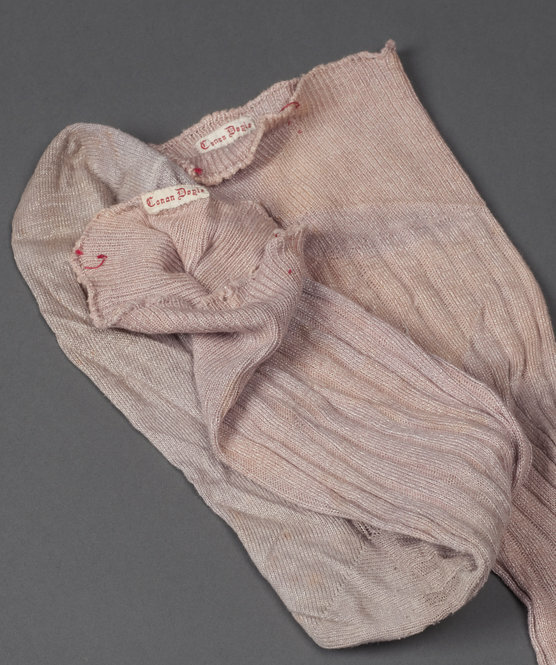 A pair of Doyle’s socks. 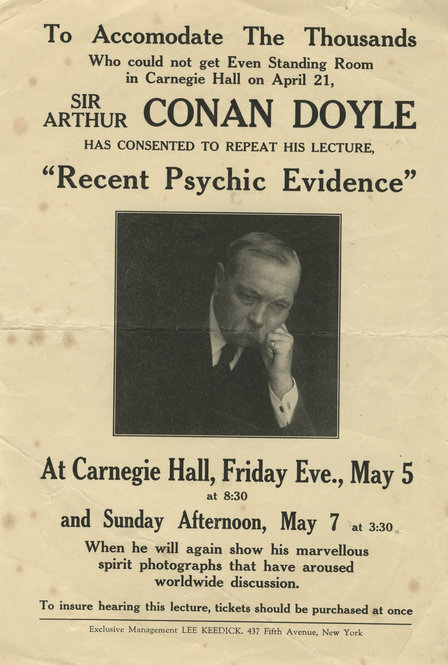 Arthur Conan Doyle Personal Effects Collection. Photo by Pete Smith. 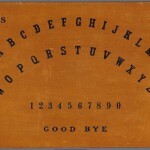 Doyle’s Ouija board. Arthur Conan Doyle Personal Effects Collection. Photo by Pete Smith. 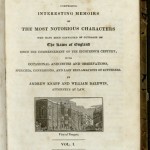 A book from Doyle’s true crime library that previously belonged to W. S. Gilbert. London’s Newgate Prison was in operation for over 700 years, ending in 1902. Ellery Queen book collection. 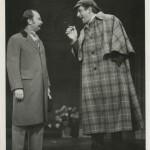 The international appeal of Sherlock Holmes became clear early. 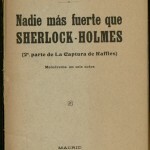 This play, the second in a series, premiered in Barcelona in 1909. Ellery Queen book collection. 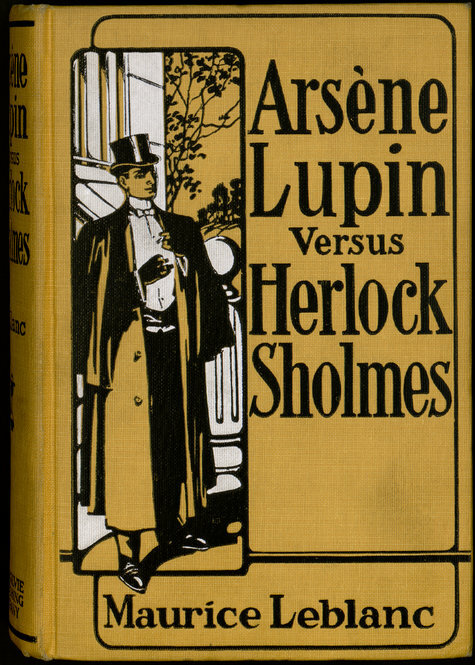 The English master detective faces off against the French master thief in Maurice Leblanc’s “Arsène Lupin” versus “Herlock Sholmes.” Other authors to “borrow” Holmes include J. M. Barrie and Mark Twain. Ellery Queen book collection. 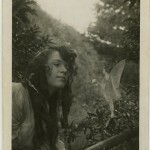 Doyle wrote “The Coming of the Fairies” (1922) in defense of the Cottingley fairy photographs, which he believed to be genuine. 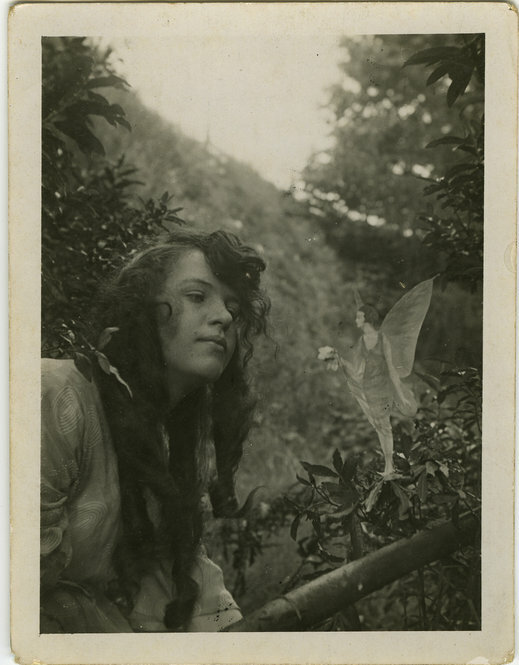 Arthur Conan Doyle photography collection. Writer and editor Christopher Morley founded the Baker Street Irregulars, a fan society which also counted Franklin Delano Roosevelt and Harry Truman as honorary members. 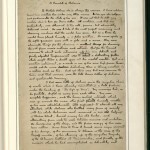 Christopher Morley papers. A. A. Milne, best remembered for creating Winnie-the-Pooh, celebrates Holmes and Watson in his nine-page essay “A Room on Baker Street.” A. 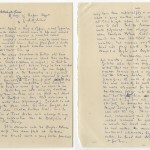 A. Milne Papers. 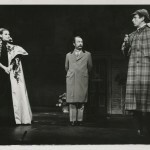 “Baker Street: A Musical Adventure of Sherlock Holmes” played on Broadway for 311 performances in 1965. 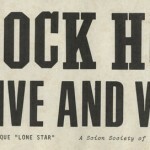 Bob Golby photography collection. 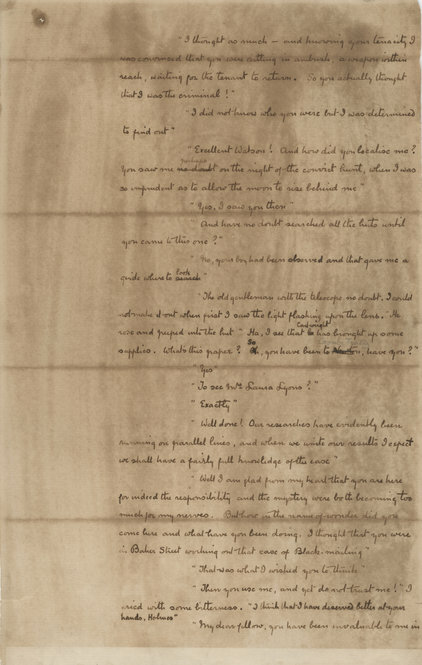 This manuscript page from “The Hound of the Baskervilles” shows Holmes and Watson in conversation after the doctor discovers his friend has been hiding out on Dartmoor. 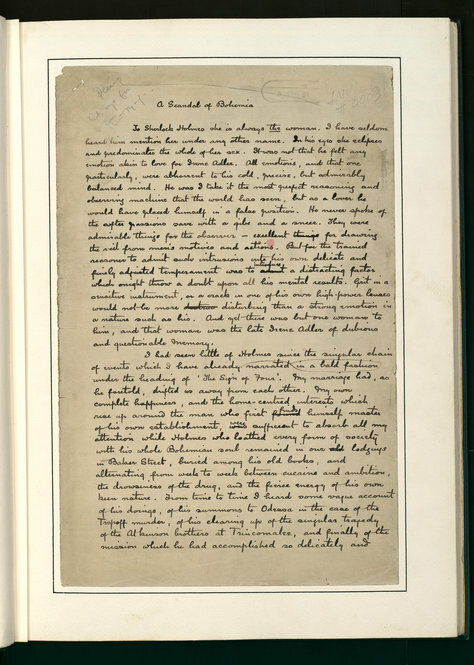 Arthur Conan Doyle papers. 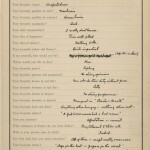 It’s unknown why Doyle filled out this autobiographical questionnaire in 1893, but the answers give a sense of his humorous side. 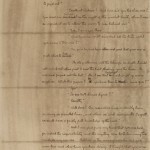 Arthur Conan Doyle papers. 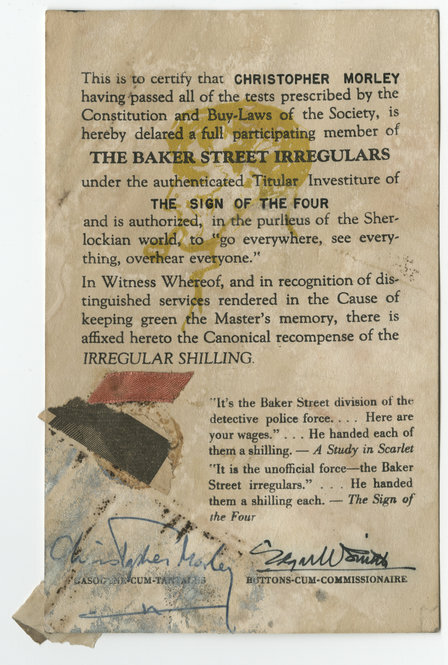 Even Doyle himself was unable to kill off his popular detective: pressure from fans led him to resurrect Holmes a decade after his apparent death at Reichenbach Falls, as this sticker from the Baker Street Irregulars attests. Arthur Conan Doyle vertical file. 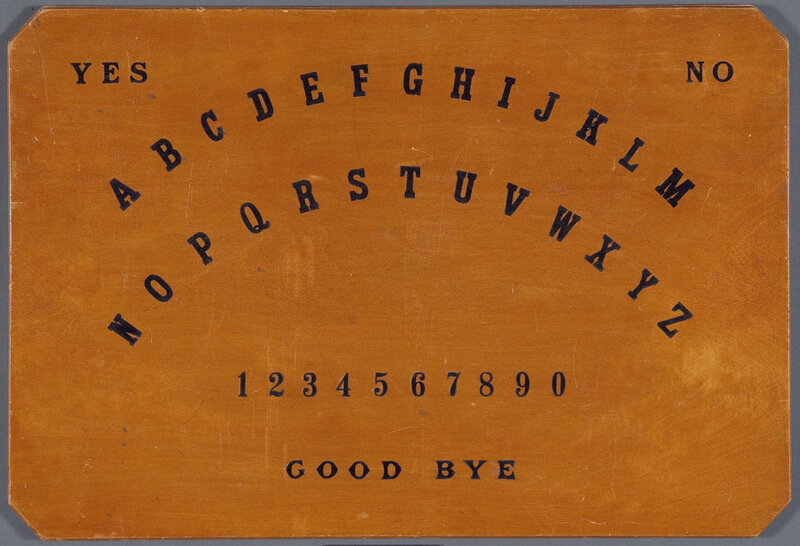 After the death of his wife in 1906 and his son in 1918, Doyle developed a strong interest in spiritualism, and became a noted writer and speaker on the subject. Arthur Conan Doyle vertical file. 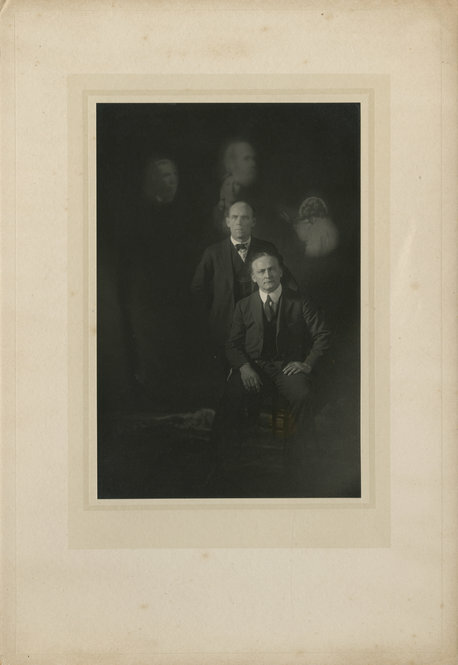 Doyle amassed a large collection of spirit photography. 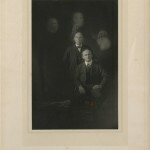 This image features Harry Houdini, whose friendship with Doyle soured when the magician denied he had the supernatural powers Doyle attributed to him. 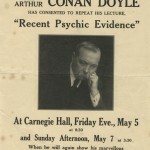 Arthur Conan Doyle photography collection.